Discover the impact of the human footprint in The World Without Us. Take us off the Earth and what traces of us would linger? And which would disappear? Alan Weisman writes about which objects from today would vanish without us; how our pipes, wires, and cables would be pulverized into an unusual (but mere) line of red rock; why some museums and churches might be the last human creations standing; how rats and roaches would struggle without us; and how plastic, cast-iron, and radio waves may be our most lasting gifts to the planet. 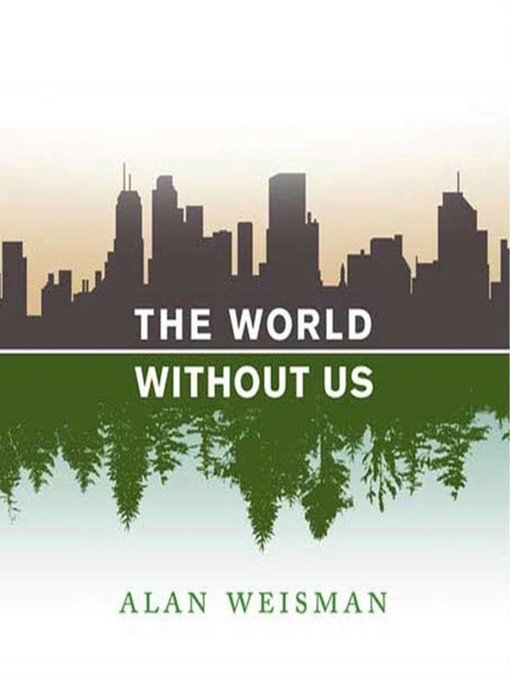 But The World Without Us is also about how parts of our world currently fare without a human presence (Chernobyl; a Polish old-growth forest, the Korean DMZ) and it looks at the human legacy on Earth, both fleeting and indelible. It's narrative nonfiction at its finest, taking an irresistible concept with gravity and a highly readable touch.